Bankruptcy filing can accomplish many things. Bankruptcy filing is a federal legal process which allows debtors (those who owe debts) to eliminate (“discharge”) their personal liability on or “reorganize” their debts. See more: Which Debts Can Be Discharged? The bankruptcy filing laws are designed to balance the interests of debtors in achieving those goals with the rights of creditors (those to whom the debtors owe money) to get paid. In general terms, bankruptcy filing allows those without the means to pay to be excused from paying on their debts. It allows others with some means to pay a portion of their debts. A primary and immediate benefit of filing any bankruptcy is the automatic stay. The automatic stay is federal injunction. It prohibits creditors from taking any actions to collect against the debtor or property owned by the debtor. This includes foreclosure, wage garnishment, bank account seizures, phone calls, etc. The automatic stay remains in effect as long as the bankruptcy case is open (with some exceptions). And it becomes permanent once a discharge is granted. Exemptions determine the value in assets you are allowed to “keep” in any bankruptcy case. You are allowed to keep all your property in Chapter 13 cases (see Chapter links below) but exemptions will partially determine how much you have to pay out over time to your creditors. In Chapter 7 your exemptions will determine which assets you can keep. Most Chapter 7 Bankruptcies are what is know as “no-asset” cases. This means that all of the debtor’s property is exempt. Most people do not have to surrender any property in a Chapter 7. An experienced bankruptcy filing attorney will be able to maximize your exemptions, and in most cases this will enable you to keep all your assets/property. Liens are rights that creditors have against specific property (as distinguished from rights against the individual debtor). They can be created voluntarily (such as a mortgage) or involuntarily (such as by judgment after a lawsuit). Involuntary liens can be removed if certain mathematical criteria are met regarding the value of the property, amounts of other liens against it, and the amount of exemptions available on that particular asset. Voluntary liens usually cannot be removed, except that if the lien is wholly unsecured (meaning the value of the property is less than the amount owed to any senior liens), it is possible to remove the lien in Chapter 11 or 13 cases, assuming other requirements are met. There is much, much more bankruptcy can do. 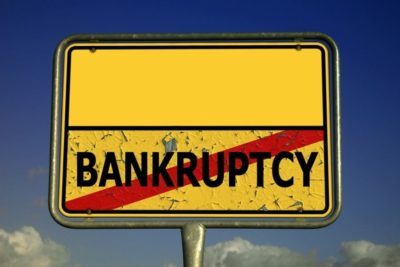 If you have too much disposable income to qualify for Chapter 7, you can possibly do a zero percent or very low percent interest repayment plan in a Chapter 13 bankruptcy filing. You won’t necessarily be forced to repay 100% of the amount you owe. In most cases you pay back only a fraction of the debt. This is almost guaranteed to be a better deal than negotiating with your creditors outside of your bankruptcy filing. The above lists just a few of benefits of bankruptcy filing. The best way to find out which chapter(s) you qualify for, and what bankruptcy filing can do for your situation, is to have a no-obligation consultation with an experienced Phoenix bankruptcy attorney. Our Phoenix bankruptcy attorney will ask you to provide detailed information on your income, expenses, assets, and debts, as well as other key data and discuss your options. He will also review the bankruptcy process for your situation. See more on what to look for when choosing a bankruptcy attorney. See Feeling Guilty About Bankruptcy?